I'm only sorry that it doesn't have the crush-resistant Liquidmetal® casing of the Cruzer™ Titanium, nor it's higher read/write speeds, but the latter model's storage capacity doesn't exceed 2GB. 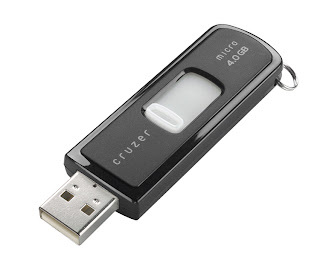 If I'll ever want to change it, I'm seriously taking into consideration the Cruzer© Contour™ 8GB USB Flash Drive... But it will only be available from March 2007.